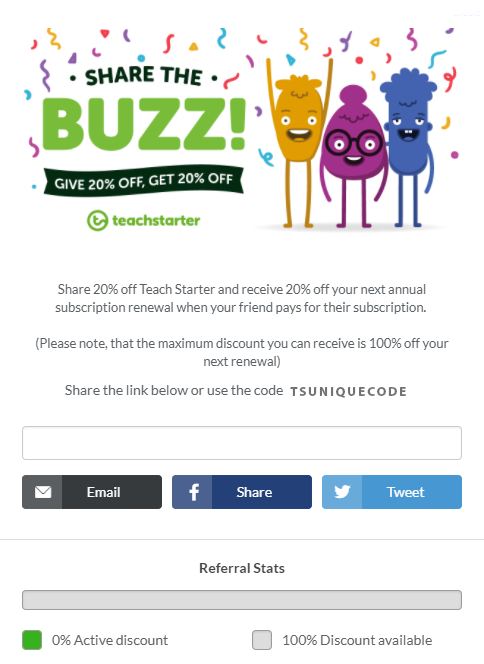 When you refer a friend to Teach Starter, you will receive 20% off your subscription renewal. The great news is that your friend will also receive 20% off their subscription fee for the first 12 months. Simply share your unique coupon code with your friends. All they have to do is enter this code at the checkout to receive the discount! You can find your unique referral code on your home feed or on the Share The Buzz page. To view your referral code bonus, visit the home feed and simply click on Invite Your Friends! 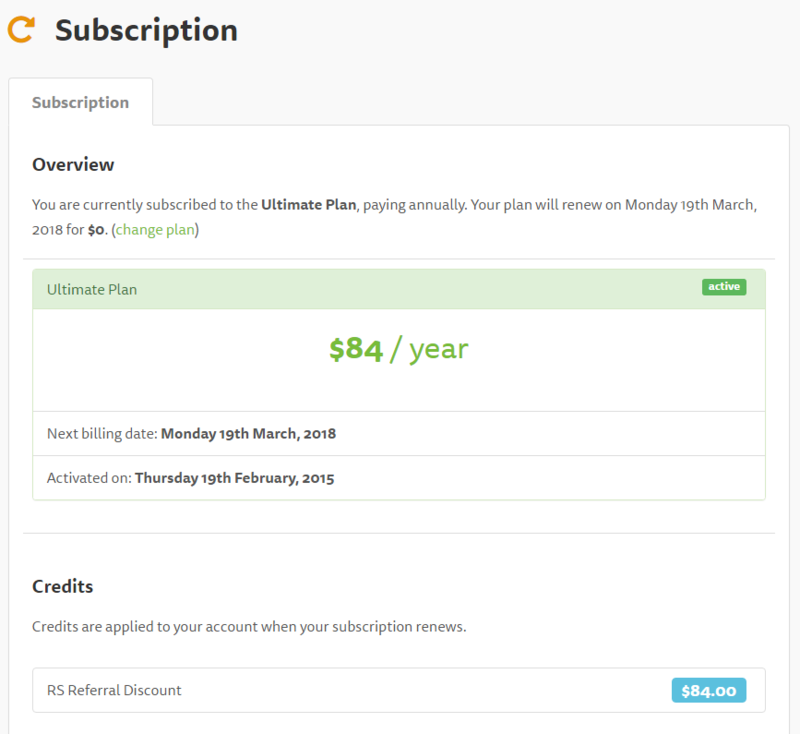 You can view your referral credit and the cost of your next renewal, on your subscription management page.